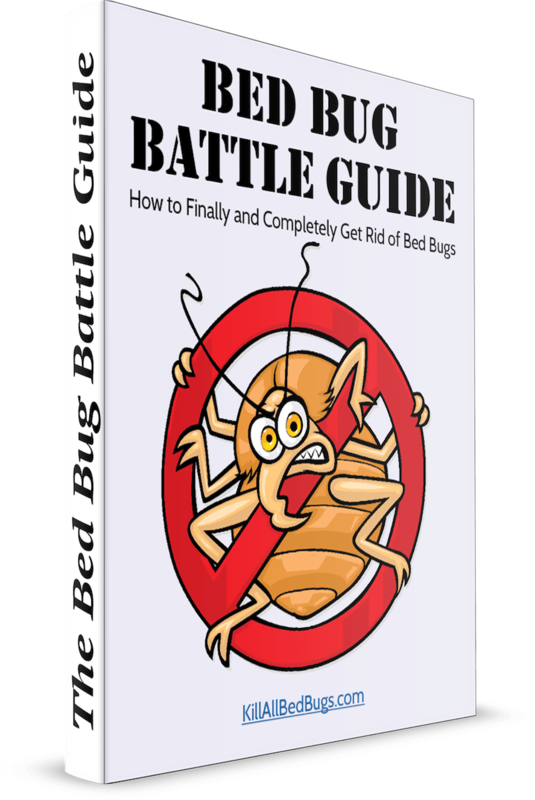 This 5-step plan is pretty detailed, but it needs to be that way in order to kill all the existing bed bugs and bed bug eggs in your home and then prevent any new bed bugs from coming in. So, while this plan might appear to be a bit too much, it’s really the best way to protect yourself now and going forward. It’s so painful to have bed bugs even once, why wouldn’t you want to prevent yourself from getting them again? This is an easy first step. Place all your clothes and sheets into the washing machine and wash it on high temperature. Then place them into your tumble dryer and dry on high heat as well. Make sure to use high heat as this is what will help kill the bed bugs and bed bug eggs on your clothes or bed sheets. When you take your bed sheets over to the washing machine, make sure to be careful not to shake the sheets as this could throw bed bugs or eggs off and thereby spread the infestation. It’s best to place all the sheets into a plastic bag and carry it carefully to your washer. If your clothes are placed close to your bed, then you should use the same caution when transporting your clothes to the washing machine. If your clothes cannot be washed, then place them into the tumble dryer and dry them on high heat without washing the clothes. Some people take their clothes to the dry cleaner to get them cleaned there, but you should be careful when doing so as it’s possible that your dry cleaners is already infested with bed bugs. Also, you should make sure to let your dry cleaner know that your clothes may be infested so that they can keep it separate from other people’s clothes to ensure that their place isn’t also infested. While you’re washing and drying your clothes and bed sheets, you should continue on to do step 2 so that the entire place is cleaned at the same time so that your clothes and sheets won’t be re-infested by parts of your home that aren’t clean yet. Many people just do step 1 and hope for the best, but really it’s this second step that does the most for killing bed bugs in your home. A dry steamer is a device the size of a vacuum cleaner that blows out hot steam (but only a small amount so that it doesn’t cause your furniture to mold). That’s why it’s called a dry steamer. This steam comes out of the nozzle at a very high temperature so that any bed bugs that comes into contact with the steam will be killed. This high heat method will also kill bed bug eggs that come in contact with the hot steam. You should make sure that any dry steamer you purchase will get up to at least 200F in temperature as this is the temperature needed to kill bed bugs. If you’re unsure about the dry steamer you’re looking to purchase, then read the reviews to check if other purchasers have used it to successfully kill bed bugs. We recommend this Vapamore dry steamer as it reaches a high enough temperature to kill bed bugs. Because a dry steamer emits a very small amount of hot steam, it’s safe to use on your mattress. Regular steamers should not be used on your mattress as they’ll wet it too much and the excess moisture will be hard to dry off. That will make it likely that your mattress will get moldy. When you use the dry steamer on your mattress, make sure to start in the middle of the mattress as the steam can blow the bed bugs and bed bug eggs. That way you can see any bed bugs or bed bug eggs that get blown and you can go back and kill them. If you start from the edges then some bed bugs might be blown off without you noticing. You can also use the dry steamer on your carpet. Make sure to move the dry steamer over the carpet slowly but not too slowly as you don’t want any portion to get too wet from excess steam. Also, if you need to put the dry steamer down, make sure to switch it off first so that the steam doesn’t get focused on one spot. That’s when build up of water can occur. Bed bugs often like to hide out in wood as well so use your dry steamer to go over wooden floorboards as well as wooden bed parts. As a safety matter, keep your children and pets away when you’re using the dry steamer as the steam is very hot and can burn them. The heat can also vaporize some chemicals in your home (e.g., paint you use or any chemicals that have been used to clean your carpets). A respirator can be used to make sure you don’t inhale any vaporized chemicals. While it may seem like a hassle to get a dry steamer and to go over your entire home with it (especially if you have a large place), this is still the best way to get rid of bed bugs especially since there aren’t many good ways to kill bed bugs on things like mattresses and sofas. Again, make sure to use the dry steamer at the same time as washing all your clothes and sheets on high temperature. There are many dry steamers on the market, and the one we recommend is the Vapamore dry steamer. If you have a very bad bed bug infestation where you can see bed bugs, then you may want to get a bed bug spray like Eco Defense, Bed Bug Bully, or Steri Fab. Eco Defense and Bed Bug Bully are more natural solutions with ingredients that are safe for pets and children. Steri Fab is a stronger chemical and therefore more adept at killing bed bugs, but it’s also less safe to use around the home. While bed bug sprays are a tempting solution, they’re really only effective on bed bugs you can see and it’s unclear whether they kill any bed bug eggs. The sprays generally won’t kill any bed bugs that walk across it later (unlike what we suggest in step 4). Diatomaceous earth is a white powder that is naturally occurring and is safe to use around your home even if you have pets. Many people use diatomaceous earth as an insecticide for various pests. Use a small brush to lay a thin layer of diatomaceous earth around your home. Pay particular attention to the corners of your rooms (especially your bedroom) and around your bed as bed bugs are most likely to be found around there. This step is less for killing the main bed bug infestation around your home and more for killing any stragglers that have been missed by the other steps. Sometimes bed bug eggs are missed and can come back to haunt you. It also helps as a prevention method in case you get new bed bugs. This last step is also very important even though it’s not really for killing existing bed bugs. A mattress encasement is a covering over your mattress that seals it up preventing any bed bugs from entering or exiting your mattress. Make sure to get a mattress encasement that is made for preventing bed bugs as they tend to be made from sturdier material (so that they won’t rip) and they tend to have locks on the zippers so that the zippers don’t come open by accident. If you’re looking for a mattress encasement, we recommend the Saferest brand. When you get the encasement, check over it to make sure there are no rips before putting it on. Then tape up the zip just to be sure. 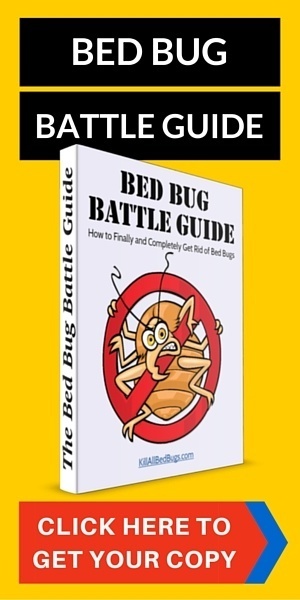 If your mattress is currently infested with bed bugs, then this will allow you to sleep on it again without worrying about getting bites. Just make sure not to open the encasement for at least 1 year in order to starve the bed bugs inside to death. If your mattress has been cleaned or is new, then this encasement will protect it from becoming infested by bed bugs. If you have box springs under your mattress, then we recommend getting a box springs encasement as well. Check your mattress encasement every few months to make sure that no rips develop. While it may seem daunting to put this entire 5-step plan in place, it’s designed to be comprehensive so that you won’t have to worry about bed bugs again. Doing it properly now will save you money and worry in the future.